For the 95,000 or so people in and around Bellingham, Washington, the water bill they pay every other month includes a charge called the “watershed acquisition fee.” It’s currently $24.81 per bill, and the city uses this money to strategically purchase land to protect Lake Whatcom and its watershed—the source of the city’s water supply. Since the project’s inception in 2002, the city has used taxpayer dollars to purchase roughly 1,700 acres, mostly from private property owners. If need be, city crews and volunteers clean up the parcels, then replant native forests, which in turn reduce pollution. Through the acquisition fee, Bellingham’s residents invest directly into their ecosystem. They reduce the amount of nutrients in the lake, like phosphorus, preventing the proliferation of harmful algae. Of all the strategies employed, like storm water vaults and other infrastructure schemes, buying and reforesting land has made the most long-term economic sense, says Clare Fogelsong, the natural resources policy manager at the City of Bellingham. Mainly, once the property is acquired, “you don’t have any maintenance and operation costs,” he says. “When you buy property, you avoid all future costs.” In addition, a natural watershed has more longevity than a built system of pipes. While novel, Bellingham’s model has plenty of precedents. Seattle owns the Cedar River Watershed, which supplies its water; New York City owns large portions of its water source in the Catskills. Both cities meet quality standards without filtering. This is not to suggest that placing value on healthy ecosystems is limited to municipalities, either. The newest version of FEMA’s computer software, Version 5.0, factors in environmental benefits to the cost/benefit analysis done for certain projects they consider funding. 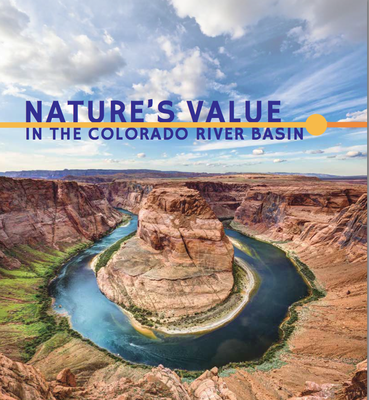 Earth Economics recently appraised the Colorado River Basin. They estimate that annually it's worth between $69.2 and $496.4 billion. All of these models acknowledge that water quality depends on the health of an entire watershed. And the price for this ecosystem service seems to be worth paying because, in lieu of a healthy watershed, the cities would have to find other, perhaps more costly, ways of providing clean water. Assigning monetary value to these services—water being the most obvious example—has recently been gaining traction amid planners, economists and many others. Some are starting to zoom out even further, looking beyond watersheds to entire river systems. If you did value nature for the services it provides economies, how much would it cost? “Like a business appraisal or a house appraisal, we’re looking at an asset that provides benefits,” Batker says. The Basin is defined by nearly 249,000 square miles spanning mountains, plateaus and valleys. About 40 million people depend on the system for drinking water, including people living in Los Angeles and Phoenix. Each year, agriculture diverts about 78 percent of the flow (almost 4 trillion gallons of water). The mining industry uses over a hundred million gallons from the basin every day. According to Earth Economics, the Colorado River Basin is worth somewhere between $69.2 and $496.4 billion dollars annually. In valuing the basin, Earth Economics hopes, foremost, that those who use the Colorado will recognize its extraordinary economic value and will find ways to invest back into it, like Bellingham, Seattle and New York. The appraisal divides the Colorado River Basin into sections. Within those sections, Batker and his team poured over academic literature and applied traditional methodologies to measure the “ecosystem services,” such as potable water, irrigation water, food, raw materials, recreation, water and air quality, and aesthetic value. The agricultural sector’s annual water use throughout the area’s seven states amounts to between $1 and $1.6 billion, while municipalities and industry use somewhere between $15 and $43 billion. Recreation in Lake Powell produces $241 million every year, so on and so forth. They got into more complicated economics to measure the dollar value of water and air quality. Based on a study, the team estimated that each acre of forested land near cities provides over $230 per year in pollution removal, which is important for cities with rising rates of asthma. Healthy forests remove harmful pollutants, resulting in less asthma and, thus, avoided medical expenses. The same idea goes for water quality. In the case of New York City’s watershed, healthy forests filter their water, which they would have to treat otherwise. These forests, then, are valued at the amount it would cost the city to build and operate a filtration plant. Ultimately, the report recommends assigning monetary value to ecosystems with the aim of facilitating investment in “natural capital,” like river systems, forests, grasslands, and wetlands. Investment would mean putting money back into managing the ecosystems that provide those valuable services. To “invest,” Los Angeles and Phoenix would pay a “natural capital charge” on water bills, much like in Bellingham, which would be reinvested into the Colorado River Basin to protect water supply and quality.